5 mins walk to the beach, super nice and friendly host, welcoming us with Slivo and figs. ;) A small supermarket is just 2 mins walk away. Very nice apartment in a quiet and convenient location. The flat was clean, roomy and equipped with all comforts. It's possible to reach the city centre in 10 mins walking, and the nearest shop is just 100 m far from the house. Welcome drink with figs, comfortable bed, clean apartment. Air conditioning works perfectly good. Enough space for couple of days to stay. 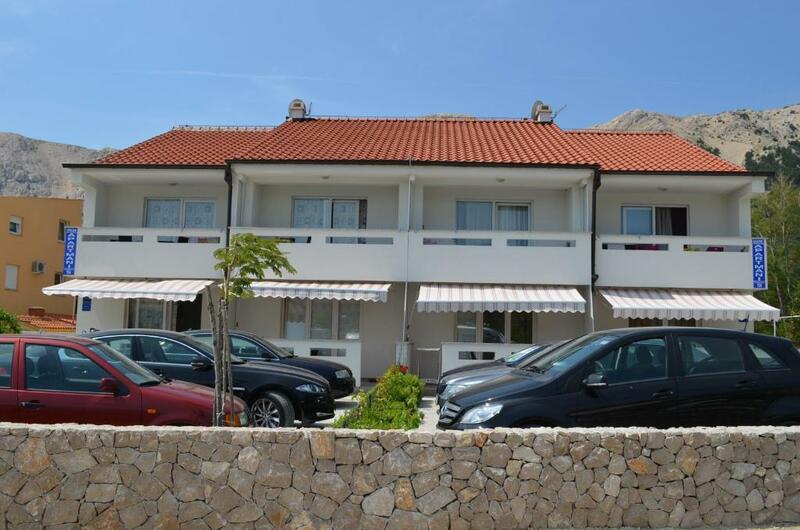 The apartment is situated in the suburbs of Baska but approximately 200 m from the see. The room was clean and equipped, we could find everything for cooking. The staff was very friendly, even at the time of our arrival at 11 PM. There was a lovely kitten hanging around the property, asking for a bite and looking for someone to play with :) It is a perfect place for people looking for relax. 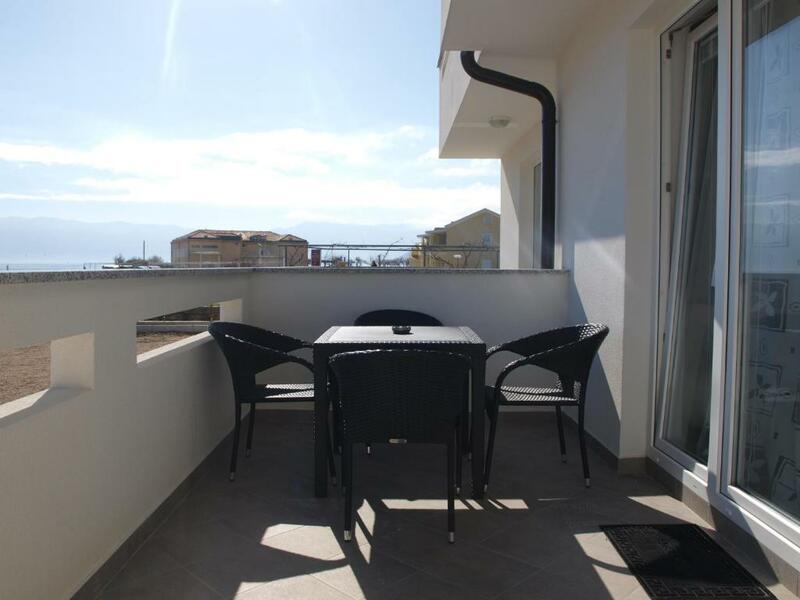 The apartment is close to the beach ( two minutes walking) and the city centre (yen minutes walking ) It has a nice view to the see and mountais. You can find all basic stores close by, a bakery, mini market, restaurants,etc Apartments are brand new and clean. There's a private parking. Good location - close to the sea, the good part of it, and 5 minutes walk to restaurants. Kitchen good equipped too. 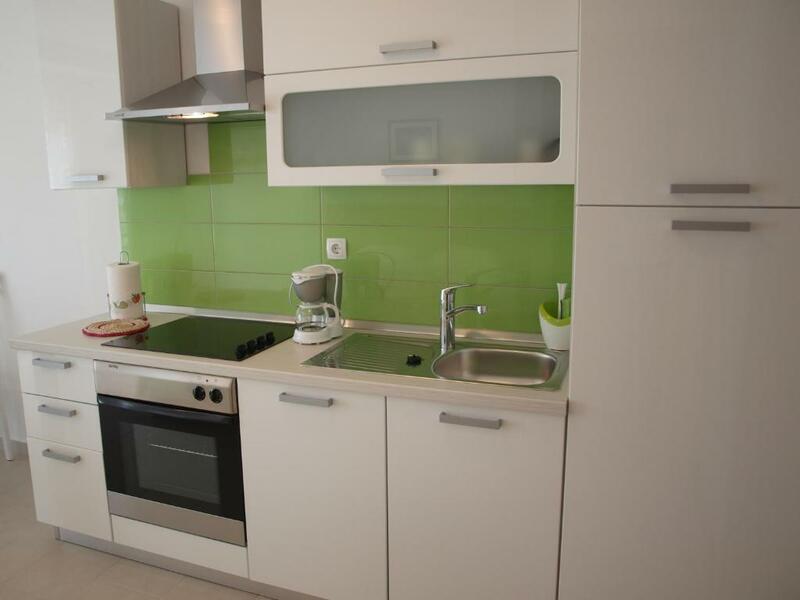 modernes, sauberes Apartment in sehr guter Lage zum Strand. Zwar hat die "Konoba Lucia" gleich nebenan leider nicht mehr geöffnet, aber in wenigen Minuten erreicht man die Stadtpromenade von Baska mit zahlreichen Restaurants (Empfehlung: "Cicibela" an der Promenade und das Bistro "Kod Frge" in der Altstadt). Einen Minimarkt, eine Bäckerei und ein Cafe gibts in der unmittelbaren Nachbarschaft. Auch sehr gut als Ausgangspunkt für Wanderungen geeignet! Sajnos a tisztaság ablakok,függönyök,fürdő a felszereltség,hiányosságok,wc eltörve,nem volt internet 4 napig 3x jeleztük hogy nincsen nett és 4 napon lett végre. Appartamento dotato di tutti i comfort, pulito e spazioso. Il proprietario è stato molto gentile! Lock in a great price for Apartments Fran – rated 9.2 by recent guests! Apartments Fran This rating is a reflection of how the property compares to the industry standard when it comes to price, facilities and services available. It's based on a self-evaluation by the property. Use this rating to help choose your stay! 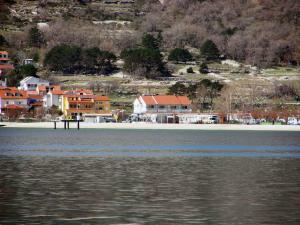 Set in Baška on the Island of Krk, Apartments Fran is only 250 feet away from the 1.2 miles long pebbly beach Vela Plaza. The town center is 1,650 feet away from the property. Free Wi-Fi, private on-site parking and barbecue facilities are available. 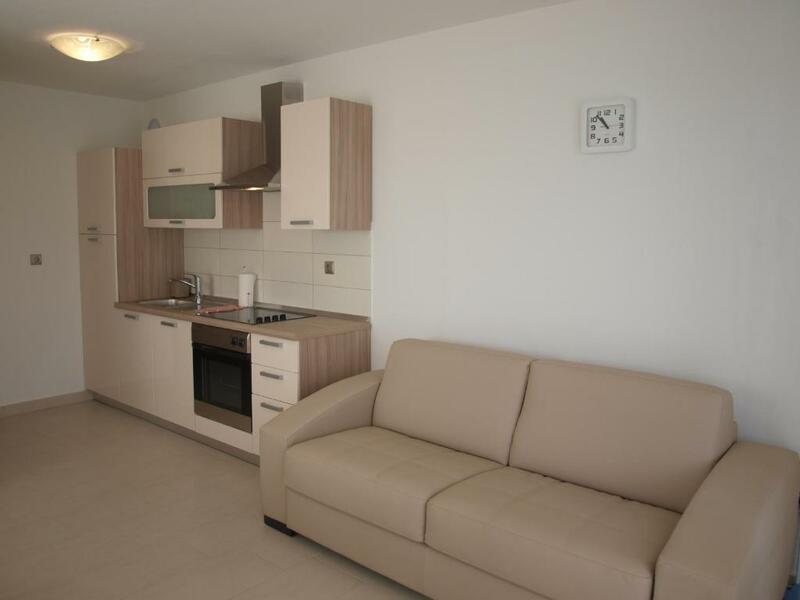 The apartments come with a fully equipped kitchen with dining and seating area. A LCD TV with satellite reception is offered as well. All units are air-conditioned. 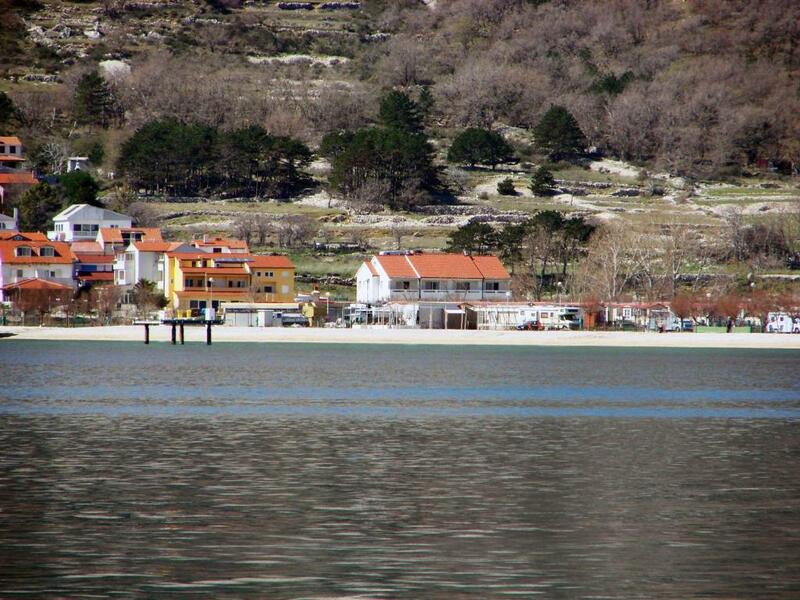 The vibrant life of Baška with its numerous cafés, restaurants and bars is less than 800 feet away from the Fran Apartments. The Romanesque church of Sveta Lucija can be reached within 1.6 mi. The first coffee shop, restaurant, bakery and mini market are located at a distance of 150 feet. 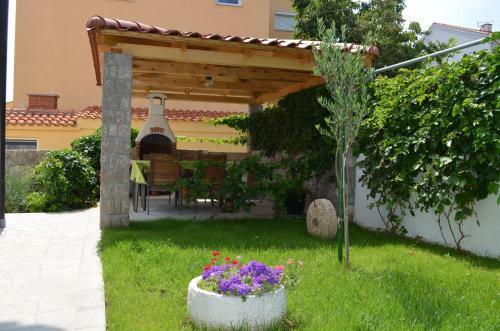 In addition to views of the sea, there is a river in front of the house and nice walking and cycling trail that leads to the Church of the Holy Mother in Gorica, and the mountains and forests. 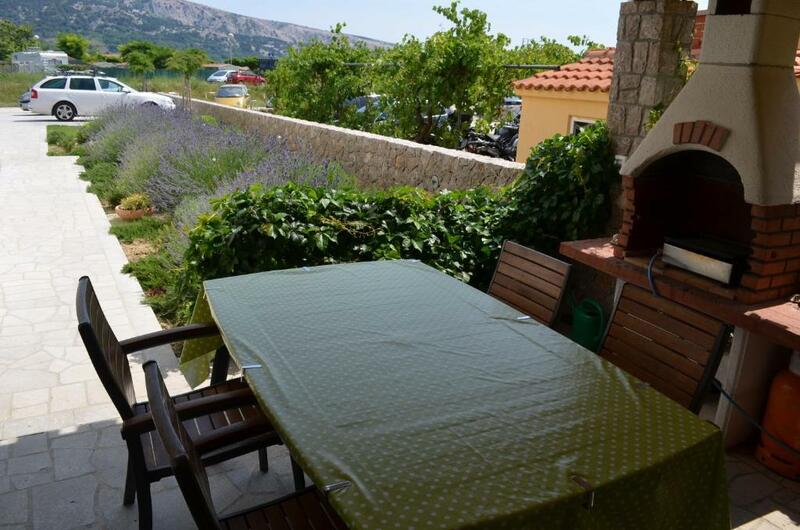 뀐 Located in the top-rated area in Baška, this property has an excellent location score of 9.5! When would you like to stay at Apartments Fran? Apartment with a terrace and a fully equipped kitchen with a dishwasher and dining area. The private bathroom comes with shower. A seating area with satellite TV is available. The apartment has sea and mountain views. The apartment is air conditioned. Please note that the room rate is based on 4 guests. Maximum occupancy is 5 guests, one sofa bed can be used as an extra bed (see Extra Bed Rates). Air-conditioned studio with a terrace overlooking the sea and a fully equipped kitchen with a dining area. The private bathroom comes with shower. A seating area with LCD satellite TV is available. The studio has sea and mountain views. Please note that the room rate is based on 2 guests. Maximum occupancy is 3 guests, one sofa bed can be used as an extra bed (see Extra Bed Rates). Air-conditioned studio with a patio offering a fully equipped kitchen with a dining area, an LCD satellite TV and a private bathroom with a shower. The apartments are located only 100 meters from the popular Vela beach. 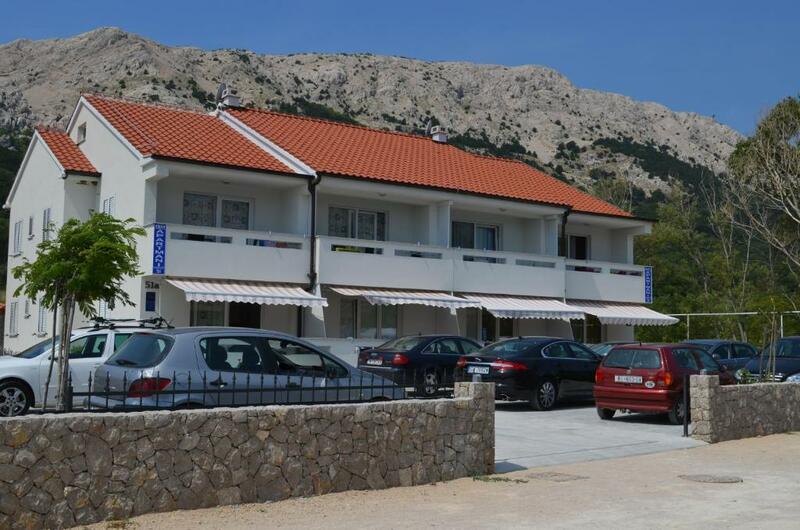 This is the perfect location for couples and for families with children who want to be near the beach and in a quiet part of Baska. Apatments have air conditioning, free Wifi, in the yard is a large grill for guests. In front of the house there is a path for cyclists, pedestrians or running that goes through the woods along the river. 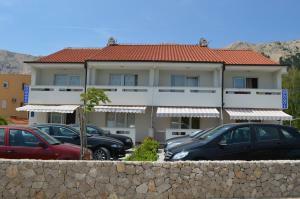 The apartment is located in the part of Baska called Zarok. Near apatmaents there are several marked walking and hiking trails where You can enjoy nature and the beautiful view of the sea. In front of the house is a bike trail on which You can walk or ride a bike to get to the famous historical church Majka Bozja Goricka and to the historic church of St. Lucy where is found the greatest Croatian monument - the Baska Tablet. House Rules Apartments Fran takes special requests – add in the next step! Please inform Apartments Fran of your expected arrival time in advance. You can use the Special Requests box when booking, or contact the property directly using the contact details in your confirmation. Lack of space for your stuff eventhough it is a studio appartment, bed not so comfortable. The room was quite small and I would prefer if the kitchen part of the apartment was separated. Even though, the apartment had see view, but there was a camping site between the see and the apartment, therefore we could hardly see the shore due to the parking caravans. There's nothing that we did not really like. But a microwave would help for someone that wants to quickly warm some milk or so and this isn't one in the apartment.